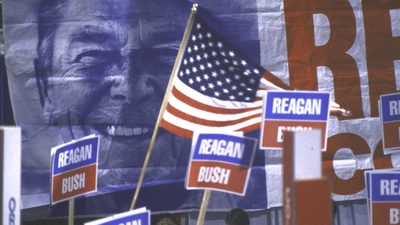 When I rooted for Reagan in the 1980s, it was a movement with intellectual heft. Back then, I thought that was the new conservative normal. But what if it was an aberration? When I became a conservative, Reagan was president and conservatism was optimistic, compassionate, and energetic. Now, I wonder, was *that* an abnormality...did I just happen to come of age during a narrow window of opportunity? I don’t think conservative *philosophy* is inherently any more kookogenic than progressive ideas, but *institutional* conservatism has clearly divested itself of the mechanisms that used to keep the serious cuckoo cloudlanders at the margins. How did the GOP go from the Party of Reagan to ... Trump and Omerosa?? "Even if you prefer the implementation of conservative public policy (as I do), on the micro level, who would you trust alone to watch your children? Donald Trump? Rudy? Gorka? Or Barack Obama? I have to say, I’d trust Obama in a minute"
. @mattklewis nails it here and asks some of the same questions I've been asking about the many conspiracy theorists in today's GOP. It's a piece that will speak to the children of the Reagan revolution. Let's be honest, a Hollywood movie based on the Trump supervillains as described by @mattklewis would be very entertaining. On a serious note this is a good piece about the challenges that the Trump admin poses for the future of the GOP & conservatism. Great read by @mattklewis - it's past time for conservative thought leaders to call out the grifters and snakes. Matt Lewis joins the long list of folks who are ditching today's would-be conservatism. He joins the ranks of Joe Scarborough, Max Boot, etc.